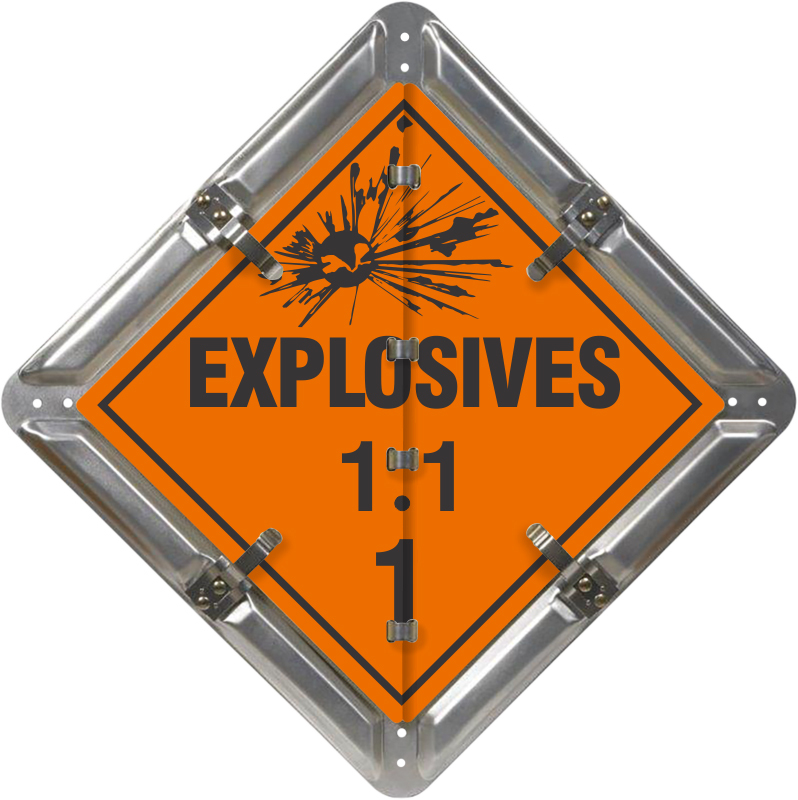 Contents Explosives 1.1, Explosives 1.2, Explosives 1.3, Explosives 1.4, Blasting Agents 1.5, Explosives 1.6, Dangerous DOT placard flip panels. 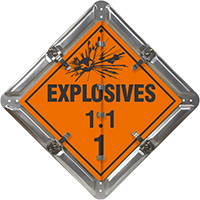 Flip-n-Lock™ placard sets for hauling explosive materials use the industry-leading spring clips made from stainless steel. • Spring clips lock your placard panels in place – permanently. Yet, it is easy to flip from one DOT legend to the next. Stainless steel spring clips outlast aluminum clips used by others. • Explosive DOT panels are printed right to the edge with vibrant colors – which follow proper HazMat guidelines. • Panels have rounded edges for safe handling and a professional look. • Placard is made from 32 mil thick aluminum. The base plate is natural aluminum.